Having Vinyl Floors can be a really nice touch in your home, it is durable and stylish. One of the most important things about having Vinyl as your floor is to remember to always keep it maintained and clean, this will let your floor live longer and keep that aesthetic look. Prevention is better than a cure, this is one of the first things that any front door should have and that is a mat where you can wipe your feet when you enter the house. This small task that guests do when they enter your house is actuallly a world of help. Not only is the dirt removed from your shoes, there is also the possibility that someone may have collected some chemicals that will negatively effect the vinyl floor, mats also help prevent this. This must also be followed with a sweep of the vinyl floors every few days, These low impact techniques allow for you to be able to damage your floors as little as possible with chemical fulled cleaners that would if used excessively damage your floors. If you need to do a thorough clean on your Vinyl floors then make sure you use the right cleaner, this means that you should know if you have wax on your vinyl floors or not and if you want to apply wax afterwards, these decisions should be made then buying should take place. When you use the cleaners make sure that you dont drench the floors with the mop or sponge that you are using, excessive water could lead to cracking on the seems and edges, just use the amount of water needed no more. 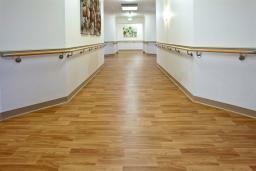 For more information on Vinyl floors contact a proffesional in your area from our page.